Making homemade bread doesn’t have to be difficult. 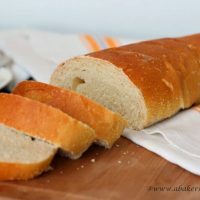 Follow this recipe originally from the Food Network to make two loaves of French bread at home. 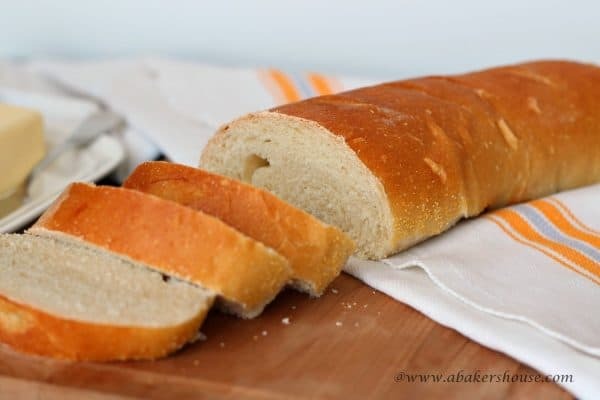 Today could be the day you have homemade French Bread along with your dinner. And I don’t mean the kind of bread you buy at the store and warm up in your own at home. That doesn’t count this time. This French bread recipe from the Food Network will have your home smelling of a bakery and the bread looks like it was bakery-bought too! The crust is golden brown while the inside of the bread is soft. The dough looks just as pretty while it rises as when the loaf is baked. There aren’t too many steps and you can make this bread (including the rising times) from start to finish in a few hours. I cut the recipe in half and made a single loaf for the sole reason that I would have eaten two loaves if two were sitting in front of me! 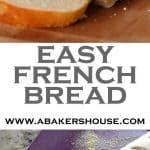 Easy French bread recipe to make at home. Recipe from the Food Network. 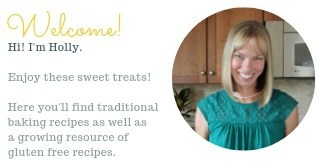 Please click through to the original recipe on the Food Network site. There is nothing like fresh home baked bread. This looks like a great recipe. Thanks, Karen, I am ready to make this a second time. The loaf disappeared quickly the first go-round for sure! Its a beautiful loaf. 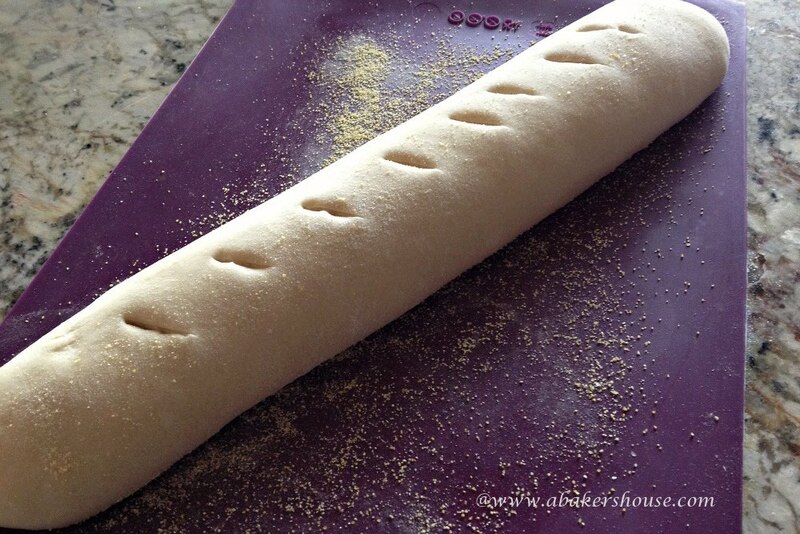 Bread is always intimidating to me but this recipe looks like even I could do it. 🙂 Thanks! I hope you do give this bread a try, Wendy. I found it to be an easy dough to work with and it tastes great! Yes– very easy! I think it is even easy enough that I could make it on a day that I had company coming to dinner and I wouldn’t be worried about it not turning out. Thanks, Kiersten! Next time make 2 loaves. You know where I live (or do at least for 2 more weeks!). Looks gorgeous! Thanks, Anne, sometimes I like how the unbaked dough looks even better than the final result. It makes bread-making into an art form! Holly, you are inspiring me to make bread again. This looks gorgeous and there’s nothing more intoxicating than the smell of bread baking. I’ve had so many bread disasters, this looks like it might be doable for me.